How does a servo work (PWM or PPM)? > How does a servo work (PWM or PPM)? I'm trying to get to the bottom of how a servo works. The motor controller receives a signal (in our case from the Arduino) which tells the servo to move to a specific position. It then reads the current position from the potmeter and determines how much and in which direction the DC motor should be moved and sends an appropiate signal to the DC motor. Is this correct? Am I missing something? And what kind of signal is sent from the motor controller to the DC motor? PWM, with a fixed frequency of ~20ms. A period of 1.5ms tells the servo circuitry "center". Period of 0.5ms or 2.5ms sends the servo fully CW or CCW. Re: How does a servo work (PWM or PPM)? 1) set the period to ~20ms, and map the user-provided values to pulses of 0.5 to 2.5ms. With an 8 bit counter, each count worth of pulse width is about 0.08s, so that's about 25 steps of resolution for the 2ms range of interest. That's not TOO bad. It would work better on the 16-bit counter, if there's a 16bit PWM mode. I believe I do understand what PWM (pulse width modulation) and PPM (pulse position modulation) means and how they respectively work. PWM: ..has a fixed frequency (for servos: ~20 ms) and variable on-pulse (for servos: 0.5-2.5 ms). The information is contained in the width of the on-pulse. PPM: ..has a fixed length on-pulse that arrives at different times, referenced to a fixed frequency. How far ahead or behind the fixed time is what is important. This is called Pulse Position Modulation and is not the same as PWM as used in the Arduino analogWrite. PWM (Pulse Width Modulation) varies the ratio of on time to off time to vary the overall signal level and are not suitable for driving a hobby servo. You should not use the arduino analogWrite PWM function to drive a hobby servo. They do not use PWM and could damage a servo or speed controller. Its confusing because many references do incorrectly use the term PWM in articles about servos. But hobby servos and speed controllers expect different pulse timings from that provided by analogWrite. Although it usually doesn't make a lot of difference what something is called, I have been campaigning for years on this forum to avoid calling the servo pulses PWM because analogWrite is the way Arduino produces PWM and driving a servo using Arduino analogWrite can destroy servos. PWM involves the modulation of a signals duty cycle. In controlling a servo, the duty cycle does not control the position of a servo. Servo position is controlled through modulating the on time of the pulse. Indeed it is possible to control a servo over its full range of movement by changing the on time but keeping the duty cycle constant. If servo control works perfectly well without changing the duty cycle then PWM modulation would not be the most appropriate term for the modulation used. 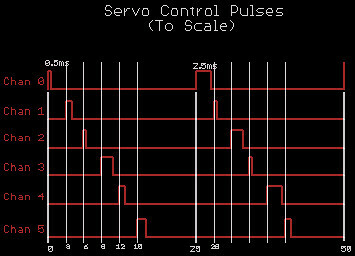 The terminology is confusing because servo control pulses do involve changing (modulating) the pulse width. And a subset of PWM can be used to emulate the modulation needed to control a servo. But its no more correct to say that this makes the servo signal PWM than it would be to say that an AC (Alternating Current) signal is PWM because PWM is capable of alternating (switching on and off) current. Indeed it is possible to emulate AC using PWM (along with a few passive components) but of course that doesn't mean one should say that AC is PWM modulation. Choosing the correct terminology for servo signals is complicated by the fact that many smart people (like westfw) do use the term PWM when talking about servos. But the term PWM for servo modulation can confuse people into thinking that analogWrite is suitable for driving servos, so what should it be called? Avoiding references to PWM controlling servos should help reduce confusion with the output from analogWrite, so I will continue to evangelize the use of PPM to refer to servo signals. Thanks a lot for the explanation. I was in fact hoping to get a comment from you. Although it usually doesn't make a lot of difference what something is called.. So for now let's consider the PPM/PWM matter closed. And after that battle is won (if ever), maybe we can take on my next biggest complaint with Arduino vocabulary. Why in the world did someone chose the word analogWrite for the function that outputs a PWM output signal? Why was it not properly called pwmWrite? Yes I know if one, using external components, low pass filters a PWM output signal, one can extract a analog voltage, but I'm sure the confusion and misunderstanding for newcomers to the Arduino world, often just learning hardware and software fundamentals, makes for additional road bumps in their learning curve. No, Joe, it doesn't really output an analog voltage, but it kind of can, if you do some stuff and don't think too hard about it. I recommend that for version 18 they announce that they have decided to eliminate the analogWrite command, but also announce that they will then replace it with a new and improved pwmWrite command. I think there is a good case for keeping the name analogWrite even though pwmWrite would be more technically correct. Arduino is primarily aimed at non technical users - people that want to do things with Arduino but are not engineers and are much more interested in the ends than the means. For tasks like varying the intensity of an LED or moving the pointer of an analog meter, a function named analogWrite is more expressive than the more technically correct term. Aniss, my point was that it is usually the case that understanding something is much more important than knowing its correct name. 5) a servo feedback circuit that reads the output position from the pot and drives the motor controller to correct deviation from the commanded position. Mem and I may have to agree to disagree on the PPM vs PWM debate. I'm pretty sure the PPM references he supplies are talking about the radio side of things, which is not quite the same as the servo side. I see the servo signal and "duty cycle modulation" as two different sub-cases of PWM, with PPM definitely involving a fixed-width pulse. There was an old linear IC that used to be used in the guts of many servos, and the datasheet had a really good explanation of how the error signal was generated and used to control a motor. But I don't remember the part number, can't find it even in my historical databooks, and web searches are hopeless polluted by explanations of how to generate/use the PWM/PPM signal we've been talking about. They're exactly the same - in the Old Days an R/C receiver's decoder was simply a TTL counter, with the serial pulse stream from the RF connected to the counter's input and an RC circuit attached to the reset pin. The servo PPM control pulses from the transmitter were sent sequentially in a frame with a long inter-frame gap; the gap was long enough for the RC circuit to trigger the counter's reset and so resync the link. The output pins of the counter were connected directly to the servo control pins. 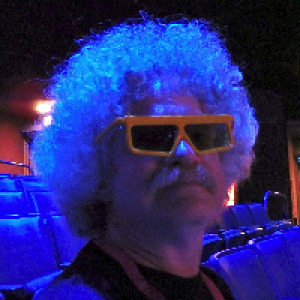 I think your talking about the Signetics NE544 chip. Here is a article that has some of the data sheet info for the NE544 embedded.